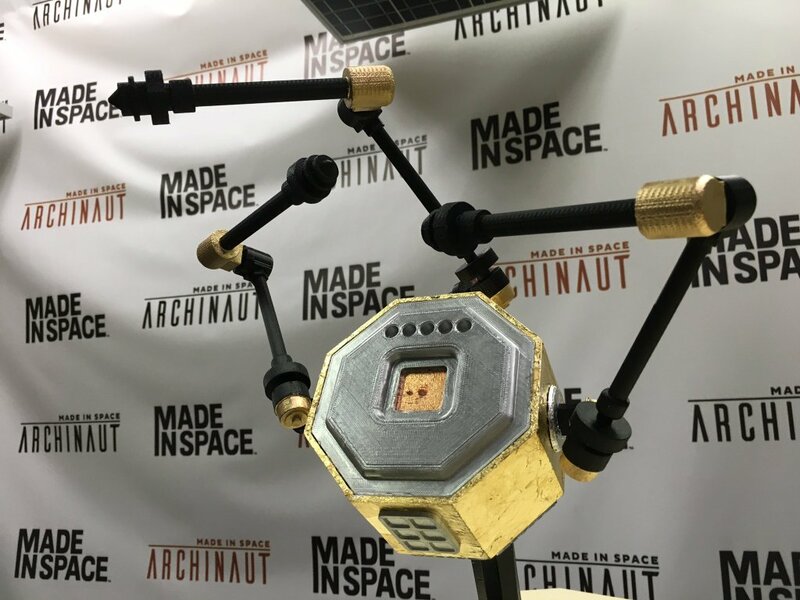 Technologies inside the Archinaut, a spider-like 3D printing satellite developed by off-world manufacturing company Made In Space, have been declared “prepared to operate in space.” Through testing in a Low Earth Orbit (LEO) simulation, Made In Space demonstrated the Archinaut’s ability to manufacture and assemble a variety of structures. Though perhaps better known as the robotic-arm enabled structure seen in the video below, the Archinaut project actually encompasses the development of two systems, Archinaut: ULISSES and Archinaut: DILO. The main differentiator between the two technologies is that ULISSES is used to fabricate and assemble frame-like structures. Whereas DILO is specifically devised for the assembly of large reflectors. Regardless of end use, 3D printing is an essential part of both Archinaut systems. In ULISSES, additive manufacturing is used to produce the connecting nodes and beams required for structural assembly. In DILO, the technology is applied to build a boom used to stabilize the reflector, as in a satellite dish.